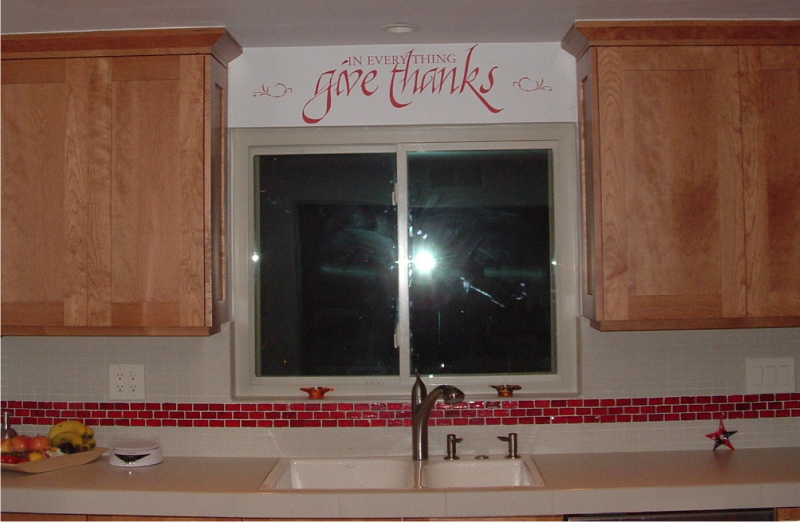 Rita ordered -and slightly modified- one of our kitchen wall quotes, but modified it to fit the space on the soffit in her kitchen. 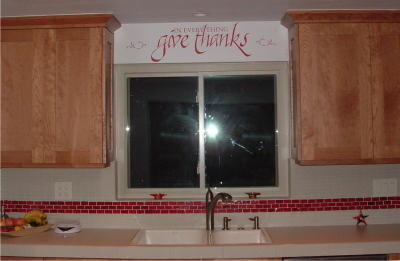 See how she trimmed off the embellishments from the top and applied them instead on either side of the quote? This is such a great idea and can be done with any of the designs in our collection. Or - if you're envisioning an even more in-depth switcheroo, let us know and we'll customize it before production so all you have to do is apply it! Happy Thanksgiving; hope your day is full of good food, good company and good times.